I'd had raw jicama before, and I grabbed one on a whim. However, with the weather cooling, I didn't want something cold. Then I thought about the trend of making everything into fries. Is it still a trend? I'm never able to keep up! This root vegetable's slightly sweet and highly crispy. 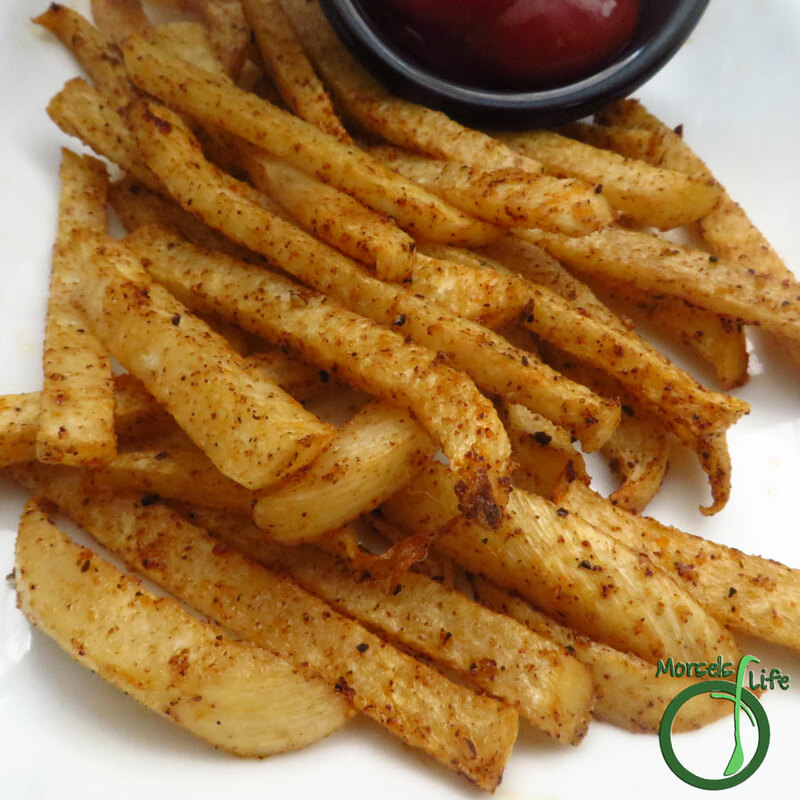 In fact, it brings an entirely new level of crispiness at half the calories and carbs of your usual fries. Anyway, I thought I'd make some chipotle jicama fries since I was on a bit of a chipotle kick after making the Chipotle Bacon Corn Salad. So much yum! 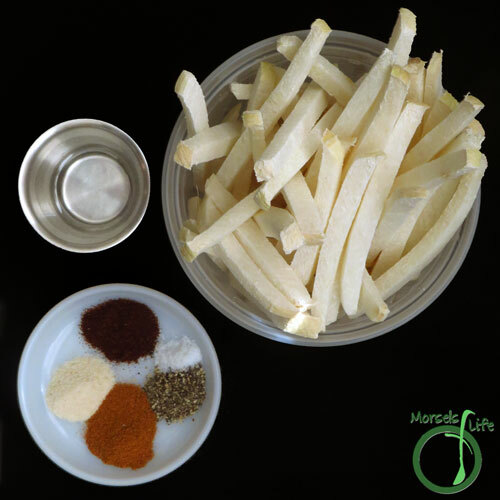 What's the most unusual food you've made into fries? 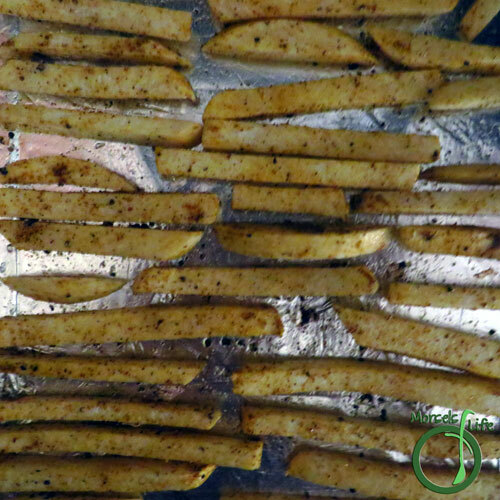 Jicama, seasoned with a delightful chipotle blend and baked into some scrumptious chipotle jicama fries. 2. Shake all materials together and place in a monolayer on a baking tray. Bake at 400F for 15-20 minutes, until crispy and browned. What a great idea to use jicama this way! Next time I see it at the farmer's market I think I am going to try this! Thanks. I have just discovered jicama and didn't know what to do with it. This is so simple and sounds tasty. I'll try it today. I also have a salad (http://morselsoflife.com/jicama-persimmon-miso-salad.html) and slaw (http://morselsoflife.com/jicama-slaw.html) you might enjoy. I would never have thought to use jicama this way, but it sounds like something new to try. 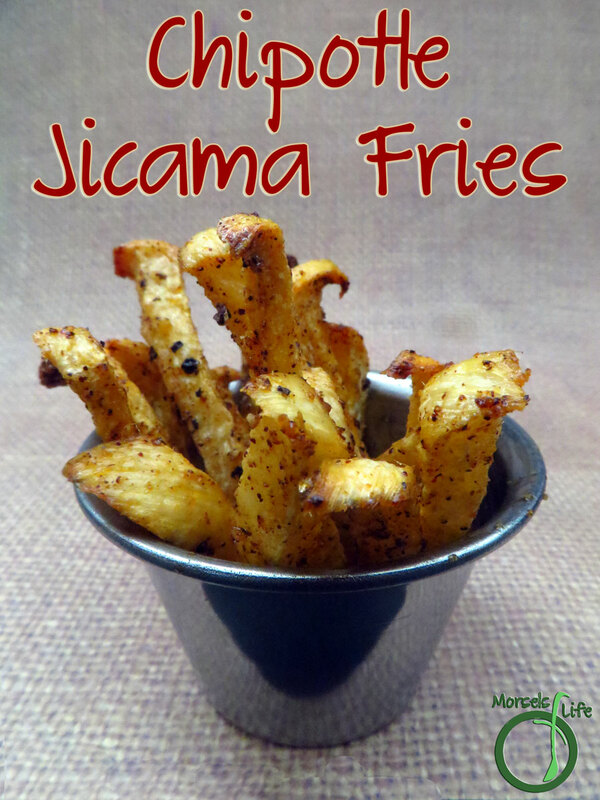 Great idea to use jicama to make fries, these sound wonderful! Thanks for sharing at What'd You Do This Weekend?! I've never tried jicama fries before, but hey, why not?!? They look delicious! I bet they are super tasty with the chipotle! Thanks for sharing at my Creative Ways Link Party! I appreciate you stopping by each week! These will be one of the features at tomorrow night's party! Hope to see you there! This looks so good! Pinning! Thanks for sharing at Inspiration Thursday! 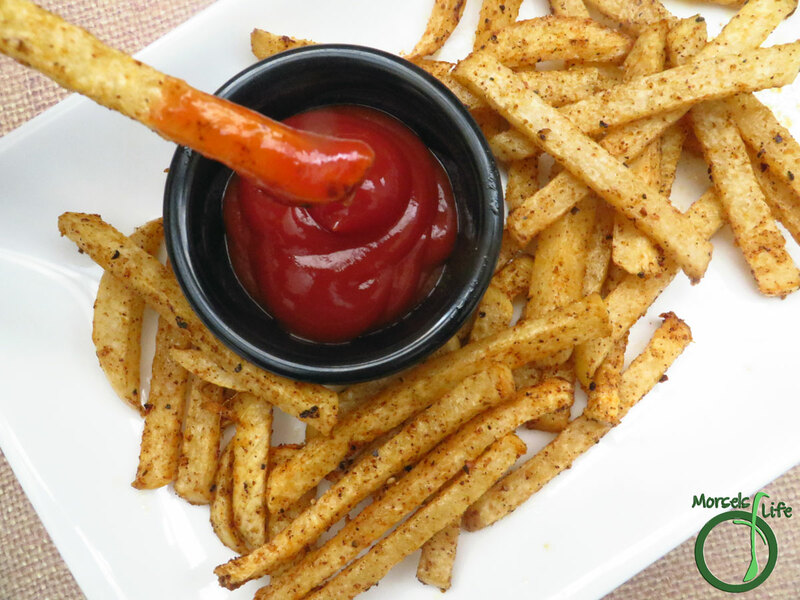 Awesome idea to use jicama for fries!! I saved it to my Pinterest snacks and can't wait to try this. Thanks for sharing.